Today I'm participating in the launch of Newton's Apple, Britain's first science think tank, and about time too. It's the brainchild of Dr Ian Gibson MP and the whole thing kicks off with an essay collection being launched today, featuring Sir Crispin Tickell, Colin Pillinger, Sir Richard Sykes, er, me (I am not a knight) and lots of fabulous other people looking at education, space, politics, and lots more. My contribution is below, and I think all the essays might be on the website. There's also a press party launch thing today at which I will eat free food. Now, for my own part, I am almost pathologically not a joiner, because I always worry about what collective hive opinions I might be signing up to, but this strikes me as being a thoroughly wholesome operation. Firstly, it's not a pressure group, it's a thinktank, and what could be healthier than thinking, even better if it turns out to include some people you disagree with? Secondly, Ian Gibson MP is quite unambiguously the man and is generally right about everything that matters. Here he is extolling the virtues of open access scientific journal publishing on biomedcentral, for example. Most importantly he chaired the Parliamentary Science and Technology Committee for an extremely long time. For those who haven't got your head around our so-called democracy, select committees are as close as politicians get to doing what you'd hope they should be doing. Each select committee is made up of MPs from all parties, and their job is to scrutinize Government departments: they have an investigation, hear evidence, think about it carefully, prepare a report, request a reply from the Government, and so on. They're like a secret hidden "easter egg feature" in government, and the SciTech select committee's reports are among the most readable, entertaining documents on science that have been published. I'm being entirely serious, if you find one that's not about boring managerial government nonsense then they're like really good mini-books, or extremely long articles from Prospect magazine on science and society. And here's my essay. Do read the others (the index looks extremely promising) and here's to thinking in tanks. Media scares: Where are all the science journalists? You could spend your whole life talking to the media about scientific and medical research, and yet never meet a single one of the incompetent and nefarious journalists who were driving the MMR vaccination “scandal” for so long. If there is one insight which could improve communication between scientists, journalists, and the public, it is the simple observation that science journalists do not cover major science news stories. During the crucial two days after the GM ‘Frankenstein Foods’ story broke in February 1999, for example, not a single one of the news articles, opinion pieces or editorials on the subject was written by a science journalist. Only 17 per cent of all the feature articles were written by science journalists . Similarly, a survey in 2003 by the Economic and Social Research Council during the crucial period of the MMR crisis found that only 20 per cent of stories about the measles, mumps and rubella vaccine were written by specialist correspondents . Parents found themselves in the strange position of receiving advice on complex issues of immunology and epidemiology from lifestyle columnists. The sidelining of specialist journalists, when science becomes front-page news, and the fact that they are not even used as a resource at these times, has predictable consequences. First, the scientific content of stories – the actual experimental evidence – is brushed over and replaced with didactic statements from authority figures on either side of the debate. This contributes to a pervasive sense that scientific advice is somehow arbitrary, and predicated upon a social role – the ‘expert’ – rather than on transparent and readily understandable empirical evidence. Worse than this, the case against the MMR vaccine consisted of emotive appeals from parents, a lionised ‘maverick’ scientist (“a handsome, glossy-haired hero to families of autistic children”, according to The Daily Telegraph), and Tony Blair's refusal to say whether his baby had received the vaccine. This last factor was shown in survey data to be the single most well-recalled fact about the story of the supposed link between MMR and autism . A reasonable member of the public, primed with such a compelling battery of human narrative, would be perfectly entitled to regard any expert who claimed MMR was safe as thoughtless and dismissive, especially if that claim came without any apparent supporting evidence. The solution is clear on one level: make the science part of the story, and have it written by specialist journalists. There is nothing particularly complicated about the scientific evidence on either side of the MMR safety debate. As a one-sentence example, it is a central tenet of the anti-MMR lobby that the vaccine is responsible for the increasing incidence of autism, but in the mid-1990s Japan stopped giving MMR entirely, and yet rates of autism have continued to rise there. Let me promise you right now that constructing the preceding sentence was in no sense a challenge to my “science communication skills”. There are other more subtle indices of how little insight media commentators have into the basic processes of science. Newspapers often refer to original academic research as being “published in the journal New Scientist”, a popular science magazine that merely reports on such work. There is also a conspicuous over-reliance by newspapers on scientific research that has not been published at all. This is true of almost all of the more recent headline stories on new MMR research. One regularly quoted source, Dr Arthur Krigsman, has been making widely reported claims for new scientific evidence on MMR since 2002, without publishing his work in an academic journal. Similarly, the unpublished ‘GM Potato’ claims of Dr Arpad Pusztai created Frankenstein Food headlines for a whole year before the research was finally published, and could be read and meaningfully assessed. Sometimes it is hard to ignore the possibility that the media may deliberately exploit the technical complexity of an issue to create headlines. It transpired this year, for example, that every single tabloid story about an “undercover MRSA swab scandal” had got its results from one man, with no microbiology training or knowledge, a non-accredited mail-order PhD from an American correspondence course, and a laboratory consisting of kitchen fittings in a garden shed. His results could not be replicated by other labs and the newspapers were told he and his methods were unreliable. He mispronounced the names of common bacteria. Yet the tabloid press described him as “Britain's leading medical microbiologist”. When he finally gave over his MRSA samples for proper forensic analysis, the inevitable false positives were finally exposed, although not by the tabloids. Another background issue here is the media’s tendency to make medical and scientific stories fit the simple dramatic narratives of “miracle cure” and “hidden threat”, which were viable models until relatively recently. Between 1935 and 1975, almost everything we associate with modern medicine was discovered: antibiotics; dialysis; transplants; intensive care units; CT scanners; heart surgery; almost every major class of drug, and more. As well as the miracle cures, science was finding the hidden killers that the media still pine for. In the 1950s, for example, and to everybody's genuine surprise, smoking turned out to cause 97 per cent of all lung cancers. These are now widely regarded as the halcyon days of medicine. By contrast, medical science now moves at a slower pace, in subtle refinements. There has been a huge reduction in premature deaths since 1975, but it has come about through an accumulation of marginal gains, which do not grab headlines. Similarly, there has been an acceleration in complexity. Fifty years ago you could sketch out how an AM radio worked on the back of a napkin, using a basic school-level knowledge of science. You could fix your own car and understand the science behind most of the everyday technology you encountered, but this is no longer the case. Technology has become more difficult to understand and explain, and everyday gadgets have taken on a “black-box” complexity that can feel both sinister and intellectually undermining. This has created further problems. As someone with an interest in science who buys newspapers and watches TV, what disappoints me most is not the foolish errors in media coverage of science, but how little science there is for me. 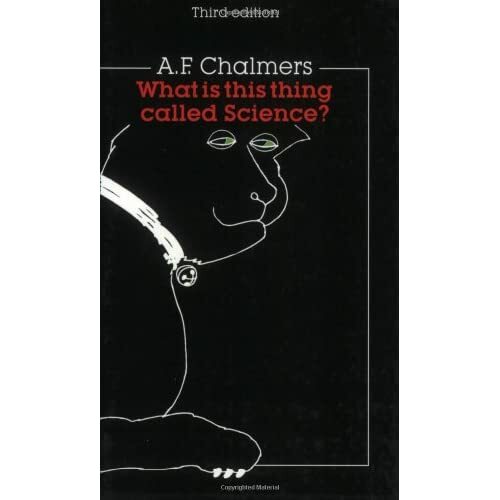 I’m not an expert in all forms of science – nobody is – but I’m interested in reading about most of it. While the media and the ‘engagement’ lobby are trying desperately to seduce a disinterested public, the eager audience – the people with an interest in science, and some background knowledge, who could act as spokespeople for science in the pub – are neglected. In fact, I would argue for a “Viral Model” of promoting science in society, focused on giving challenging and informative material to people who already have a modest background and interest in some form of science, and who can understand this information, and advocate for it in whatever their community might be. You could be wrong about MMR in an almost infinte number of different and varied ways, and people are best disabused of their ignorance in a tailored one-to-one discussion. There is a popular idea amongst those ignorant of science that somehow “scientists”, perhaps meaning “anyone who did a degree that wasn’t in the humanities”, must know the entire canon of all the science in the world. This is of course not the case, but those with a science background will retain a good chance of understanding complex material, as well as an interest and passion for it. The extent to which science coverage is dumbed down becomes clearer when we compare it with the finance pages, the sports pages, and the literary supplements, where arcane knowledge and complexity are worn as badges of honour. It is hard not to see this as a reflection of the demographic of the kind of people who work in the media. And meanwhile the word ‘biophoton’ can appear in newspapers – but only when used incorrectly – on the alternative health pages. Most attempts to make science popular by presenting everything as “news” or a “breakthrough” strike me, at any rate, as trite and undermining. The newspapers’ recurring favourite is “scientists have found the formula for”. Recently the newspapers have covered the formulae for the perfect way to eat ice cream (A x Tp x Tm/Ft x At + V x LT x Sp x W/Tt = 3d20), the perfect TV sitcom (C = 3d[(R x D) + V] x F/A + S), the perfect boiled egg, love, the perfect joke, and the most depressing day of the year ([W + (D – d)] x TQM x NA). These are stories without any content, and a popular way to reinforce a parody of science as the preserve of irrelevant, detached boffins. In the same bag we might place stories about (unpublished) research claiming that watching Richard and Judy can improve your IQ more than exercise or caffeine: a science story that was thought worthy of an editorial in The Independent on Sunday, no less. And while this material grabs the headlines, we are in danger of daydreaming through some of the most important technology-driven cultural and political changes for a generation. In a knowledge economy, issues surrounding intellectual property rights are key, and yet in 2001 the European Union Copyright Directive – potentially a land grab on a par with the Enclosure Act – passed through largely unscrutinised by the popular media. Likewise the open-source software movement is making huge contributions to the way we collaborate and use computers, with significant ramifications especially for the developing world, but in the midst of a mainstream media blackout. Similarly, the linkage of personal information between different databases is a far greater threat to privacy and liberty than ID cards, but is a more complex and less tangible issue, and so it is consequently ignored. This is all a function of the lack of ‘geek’ fluency in media circles. Problems that are so complex and deeply entrenched have no simple solution, but there is so much that scientists and journalists could do to improve communication, at very little personal cost. Scientists and doctors, for example, can take care to be clear about the status and significance of their work when talking to journalists. Are the results preliminary? Have they been replicated? Have they been published? Do they differ from previous studies? Can you generalise, say, from your sample population to the general population, or from your animal model to humans? Are there other valid interpretations of your results? Have you been clear on what the data actually show, as opposed to your own speculation and interpretation? And so on. It is naive to imagine that such basic guidelines will be heeded by the irresponsible characters on the fringes who produce so much media coverage. However, they do represent best practice, and so they are always worth reiterating: they deserve to be incorporated into codes of practice from professional bodies and research funding bodies. Scientists and doctors would also be well advised to take some even simpler steps: to think through the possible implications of their work, inform interested parties before publication, and seek advice from colleagues and press officers. This advice and more is all covered in the Royal Society’s excellent Guidelines on Science and Health Communication, published in 2001 . Journals, too, can take a lead, since they often produce the promotional material for research. Risk communication is a key area here, and although it is tempting to present risk increases, and indeed benefits, using the largest single number available (the “relative risk increase”) it is also useful to give the “natural frequency”. This figure has context built-in and is more intuitively understandable: it is the difference between ibuprofen causing “a 24 per cent increase in heart attacks” (the relative risk increase) and “one extra heart attack in every 1,005 people taking it”. Similarly useful guidelines have been produced for journalists by several sources (including the Royal Society , the Social Issues Research Council , and the Royal Institution) over several years but these remain essentially ignored. They represent what any specialist science journalist would consider to be the most basic skills of their profession, such as checking the trustworthiness of sources, the validity of the research methods, the status of publication, and the credibility of any conclusions drawn. But the key problem for the public misunderstanding of science remains, that these science journalists are ignored, and sidelined, when they are needed the most. And the single most important thing we can do to change this is simply to notice, and point it out, at every available opportunity. 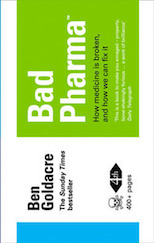 Ben Goldacre is a medical doctor and writes the “Bad Science” column for The Guardian. Keep on winning hearts and minds. Agree with every word, Ben. Someone was asking me recently if I’d ever thought of being something like a “Faculty (Science) Engagament Co-ordinator”. Let’s hope the thinktank has some real influence. Great essay Ben, only made better when accompanied by the lovely drawing of you on their website. I’m now doing an OU degree in Molecular Science, precisely because I agreed with what has been said about shoddy science journalism. I realised that although it might be relatively easy to be a science journalist, it was probably better to actually have a certificate to prove I know what I’m talking about. The group (the public, or a bunch of people in a room) is presented with a problem (“Is there any point in talking fish oil supplements?”). They then have to work out what they need to know / find out / understand in order to make a reasoned judgement. In the “best case” scenatio this would mean people going off to work out how scientific method works, plus a good dose of the more knowledegable explaining to the less. There is some common ground with the “viral marketing” idea here, in that the job of scientists and doctors doing “public engagement” is then to provide the “tools”, i.e. introductions to complex stuff in ways that persons with some basic scientific literacy can understand. PS Not too sure about the drawings on the Newton’s Apple site, though…! It’s an excellent concept overall. But sorry, but I find the drawing style deeply spooky. I’m forced to agree with Dr Aust and raygirvan. Imagine waking up in a hospital bed and finding yourself confronted with that! re your post number 3. Science can be presented in a fun and interesting manner. I think i first came to appreciate science through the christmas lectures that were (still are?) done a long time back. Not sure which organisation was responsible for them but they did a bloody good job of explaining things in a way that caught the attention and imparted the knowledge without resorting to polysyllabic words that would have been beyond my understanding back then. I think you mean the Royal Institution Xmas lectures, Delster. Couldn’t agree more – done properly, and well, these things are great. They are a lot of work, BTW – I know at least one person who has done the Royal Institution Xmas lectures and it was a major major undertaking, though (s/he says) very worthwhile. A scientific society I belong to has recently started having similar “Public Lectures” at its annual scientific meetings. Again, they have been really great, but lots of work for the person doing them. The problem with these kinds of things in an “Engagement” way is that they are seen to be slightly preaching (or at least the definitely fairly interested) to the converted in terms of the audience present in the lecture theatre. On TV they may have also drawn in a few more of the undecided. When one does the sort of Cafe Scientifique / “Scientists’ Question Time” sessions that I have participated in there is the same kind of unspoken Q about who is being addressed. The audiences there are “science-friendly”, although what you say about the need to address them entertainingly, clearly, and without 4-syllable words still applies. But in the wider “science public engagement” arena there is always this tension between talking to the interested (which is probably what scientists prefer) and the “outreach” agenda which says we have to hit the people who are completely disengaged from sci / tech. Right on target, as always. It did cross my mind that one way of reaching the community who are interested in science is to create a stable of bloggers, in the way that the Seed media group have done with ScienceBlogs. I guess the problem would be advertising it so that enough people knew about it and read it. ScienceBlogs are even discussing science journalism as well! On a tangential note, it’s been pointed out that television causes autism; the writer cites proper evidence and everything. So, no reason to worry about nasty needles, then. Just ween ’em off cartoons — it works for the Amish. wrt post 6: Just enjoying the concept of “talking fish oil supplements”. Is that a supplement from a talking fish (a Babel fish? ), or a fish oil supplement which talks (perhaps it outlines its own dosage regime- no need for paper inserts in the box). In my own subject, chemistry, the media stances that bug me are: the pervading thought that a compound will be fundamentally different if it is made by/with/from an organism than if it is made by a chemist in a lab (it always seem to me akin to a claim that a petrochemical equivalent has no soul), and the fact that we get blamed for pollution without considering what marvellous things the chemical/pharmaceutical industry does turn out for everyone’s benefit. Sorry jjbp…. TAKING fish oil supplements. Blame my bad typing. Like the idea of the talking fish, though. Well, they get so much BRAIN-FEEDING FISH OIL, why wouldn’t they be smart? #16 i keep meaning to do a big blog roundup, in fact i’m literally waiting on forum regular frankswain to pull his finger out and finish the new design on his blog… i guess we could start our own badscience.net publishing stable but i quite like the independence and individuality of lots of little blogs.. Journalists aren’t usually scientists, and scientists aren’t usually journalists (yourself excepted, of course, and a few others). Scientists don’t trust journalists (“arts graduates”! pah!) and journalists only look to scientists (weird geeky-types! pah!) to provide sensationalist stories. Many newspapers (tabloids, yes, but not only) seem to exist now simply to provide “water-cooler” moments for their readers, but scientists don’t seem to be able to put their work across in a way that the general public can figure out without that element of sensationalism. These seem to me to be the main problems. 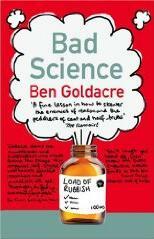 hurrah for Newton’s apple, hurrah for ben’s essay and boo to the media leaving science journalists on the bench, in a manner of speaking. can ordinary science folk get involved in the new think tank, or does one have to be knighted/write in the Grauniad/know a man that knows a man that works with Lord Winston…?! sounds like we have ourselves a grassroots movement, well done Ben et al! that would indeed be the lectures i’m talking about. A lot of work yes i’d agree… not to mention expending a lot of energy just in enthusiasm whist presenting it. As for audience, your right, the majorty would be those already interested but also maybe the occasional young, impressionable person (me for one back then) will stumble across it by accident and stay awhile. I think part of getting people (kids mainly that is… get them young i say!) interested has to be down to teachers shoing, in the classroom, that the subject can be interesting / fun / challenging and getting them to use their brain to actually think with rather than slavishly following the herd. I think one of the problems with getting The Kids interested may be the input of the “health & safety fascists” combined with schools’ fear of being sued. I read somewhere recently that in schools now, kids are barred from doing experiments such as dropping sodium into a container of water (and have to view such experiments on video). If you have to watch experiments done on video instead of actually doing them yourself surely that can’t be beneficial in terms of (a) getting kids interested and (b) actually teaching the science. I read that one as well. Have to say that when I did this experiment (late 70s) we didn’t actually do it – the teacher did, in the middle of the playground (50 yards from all buildings) with us watching – then ditto for potassium into water. Damn good show. We weren’t DOING it ourselves, but we were involved, if you see what I mean. Which points up something Delster just said about the importance of teachers – I have always felt teachers needed to be part-showman, part-encourager, all-enthusiast. Goes for Univ teaching too, IMHO. I agree, and it’s not just media stance, it seems to be public perception too. I’m not sure which drives which, or whether they feed off each other. I think it’s very much an emotional response, rather than an intellectual one. Yes, please comment intelligently about the subjects you know about. However, even eminent scientists like Richard Sykes can sink in to gutter journalism. Take his foray into GCSE science for instance. Remember that most of you reading this site were in the top 10% of science pupils at school. Now teachers have to teach all pupils. Then in the Observer (16th October), there was an incredibly badly researched article about the Health & Safety excuse on not doing practical work in schools. There is a perceived problem by some teachers (www.rsc.org/Education/EiC/issues/2006Jan/SurelyThatsBanned.asp) (usually having to teach out of their specialist science), but you are allowed to demonstrate radioactivity, handle sodium and potassium, see the Thermit reaction and investigate the structure of hearts, eyes and rats. Pupils can even use concentrated acids when doing practical work. Like all problems, there are many other factors at work than just H&S. If ever you go down the H&S route on your criticisms, speak to the experts on what can done in schools at www.cleapss.org.uk. Very interesting site and I intend to work through the essays – dreadful site design though, unfortunately. Having the text bunched up in that small scroll-down box, with the dreadful illustrations taking up half the screen, really does make it diffiult to read the longer pieces! I have emailed them to point this out, and suggest they make the essays available as Word docs or .pdfs perhaps. Nooo…word documents are evil. Evil we tells you. On the school practicals, we missed out on a lot of them because the school was teaching science in 1.5 hours fewer a week than they were supposed to. To fit teaching the syllabus in the time, they cut out the practicals. Of course this also meant they had almost no time to cover things related to, but not on, the GCSE syllabus and that tends to be the interesting stuff. Of my two best teachers one was a bit of a lunatic chemistry teacher who was wildly enthusistic to the point of waving arms around whilst explaining things…. not a great idea with reactive substances and naked flames around the place but great fun to watch. The other was a more reserved type (biology teacher) who would catch your attention with small amusing things and use them to lead into bigger interesting subjects holding pupils interest by the way he spoke and presented things. Never pushing a section for too long but mixing small practicals throughout the classes which would give a break (brain gym anybody?) and get everybody going again. I was at the launch of Apple’s Newton (remember that?) way back. It is a pity I missed this one – I would have had the set. Minor nitpick I know, but I think it’s more accurate to say that smoking was implicated in 97 per cent of lung cancers (in the 1950s) rather than caused them and, although I don’t have the data, that that percentage is almost certainly a lot lower now that a greater proportion of society doesn’t smoke. just had an email back from Newton’s Apple director Mia Nybrant, who says they’ve taken the criticisms on board and have added a ‘printable version’ for each of the essays – I’ve had a look and it’s much easier to read. So thumbs up to them for that. So did I. She says, “Regarding the drawings, they are there to stay I am afraid”. Which comes across as a very polite “f*** you, don’t criticise my baby”. I suspect she drew them. The reply continues, “Please do not hesitate to contact me again should you have any queries or suggestions”. Not much point if that’s their attitude to criticism. Would be interesting to find out if there is an archive of them any where. i shall have a look i think. They don;t have much in the way of transcripts from the lectures though unfortunatly. Would be interesting to be able to look at some of the original ones. â€¢ More young people must be encouraged to take up science education” etc. Sadly, taking up a science education may be more futile than they think. On the BBC’s website (news.bbc.co.uk/2/hi/uk_news/6074202.stm), we discover that British schoolchildren are pretty rubbish at geography. For example, only 20% can locate the UK on a map of the world. So teachers, who are responsible for, amongst other things, science education, believe that statistics should be discounted if they do not support one’s beliefs. Of course the statistics don’t reflect hard work, because that’s not what they set out to measure. What they do show, however – and this is what the NASUWT is too stupid to grasp – is that they show that all this hard work isn’t much more than pointless fannying around. So if teachers can’t interpret data, what hope is there that they will be able to teach their students how to do it? I’d say most of the science journalists are to be found working for Scientific American, Seed, New Scientist and all the other science magazines.